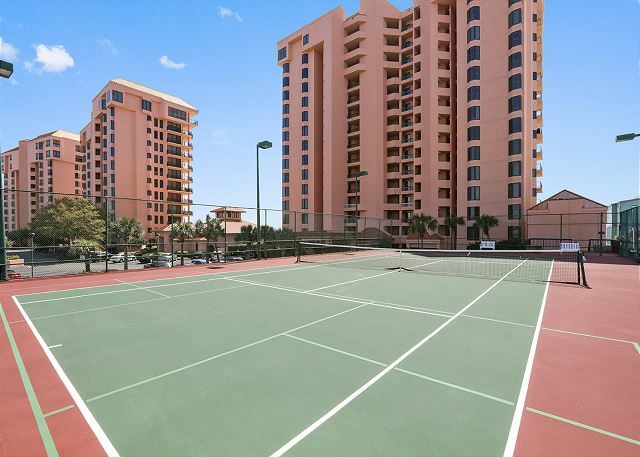 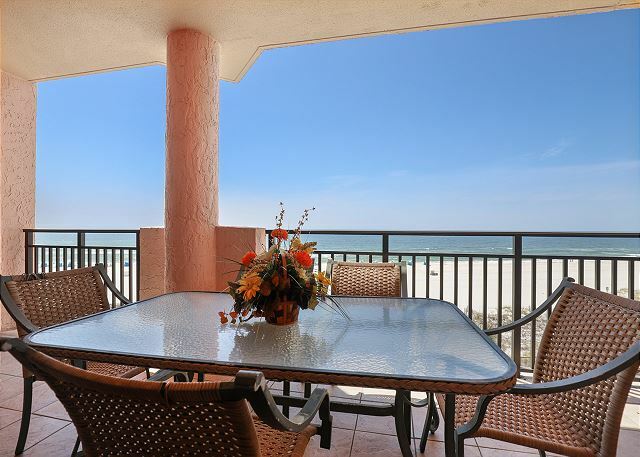 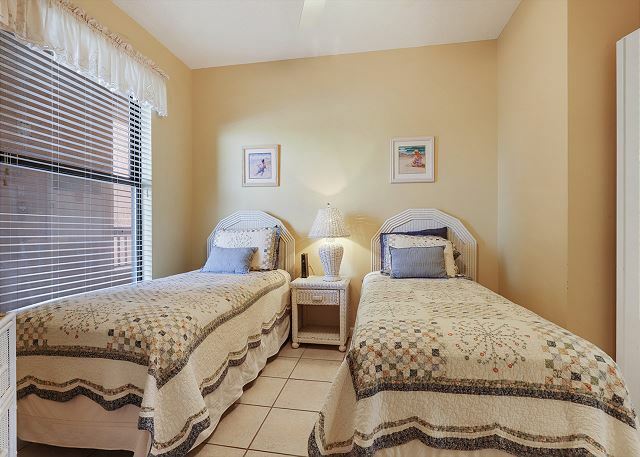 Views of the Gulf from the master bedroom, the living area and large balcony as well as comfortable cottage-style decor with tile throughout make this 1,542 square foot, three bedroom, two bath fourth floor condominium a renter's favorite. 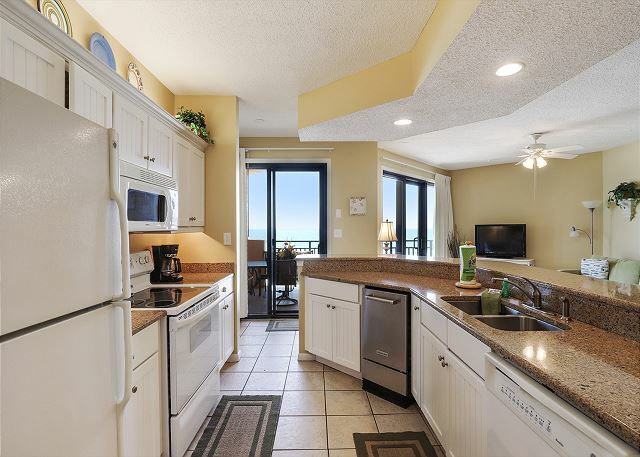 Fully appointed kitchen includes ice maker, microwave, dishwasher and laundry area with full size washer and dryer. 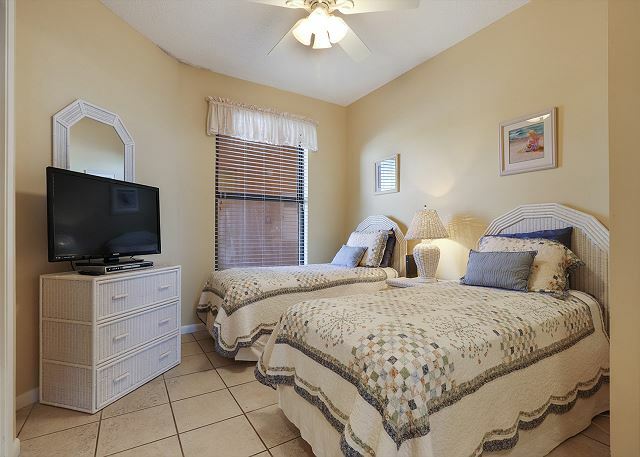 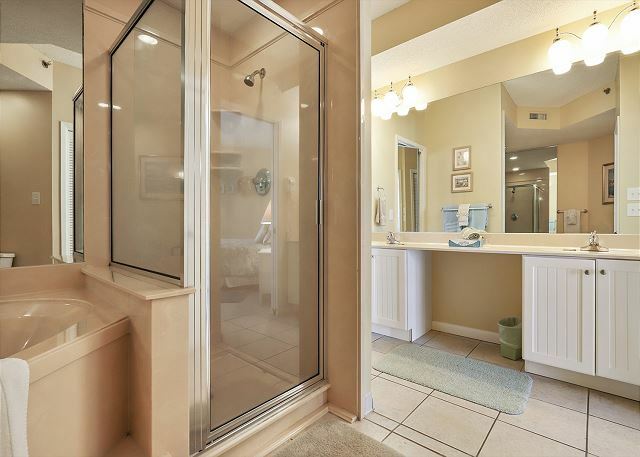 Other features include 9 foot ceilings, ceiling fans, central heating and air conditioning, and a large master bath with whirlpool tub, separate glass enclosed shower, double vanity and lots of closet space. 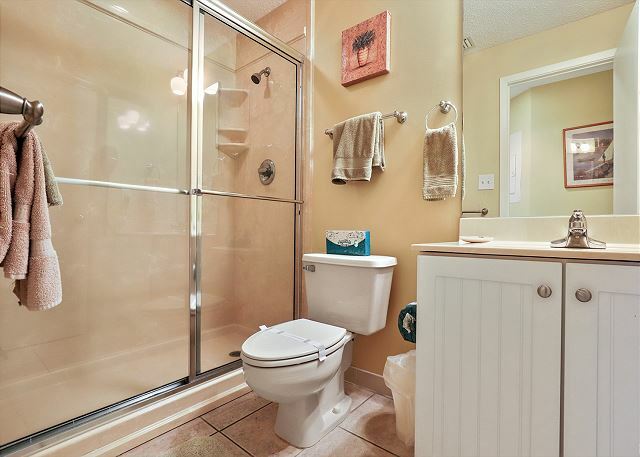 Great unit, clean and well appointed.